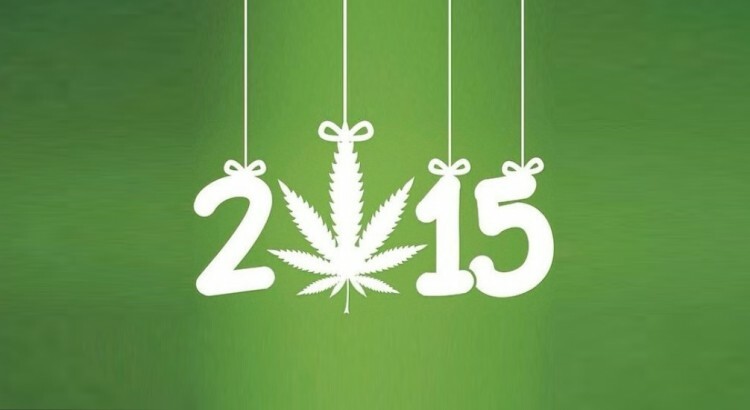 2015 turned out to be quite a year for the cannabis plant. We all secretly knew the whole world loves weed but last year made it a reality. From scientific break through to progressive public discourse to a willingness to engage the plant as an economic commodity, Mary Jane walked the red carpet and has shown she is ready for a California party. But before the doors open, lets take a look back and see what led us to this point. January 26: Market research via the ArcView Group based out of Oakland, California – co-founded by Steve DeAngelo and Troy Dayton – demonstrated the cannabis industry as the fastest growing industry in the U.S. The industry increased 74% ($1.2 billion) in 2014 and was expected to grow another 32% ($864 million) in 2015. Research suggested that state legal cannabis markets might be worth $11 billion annually by 2019. California was shown to have, by far, the largest legal cannabis market in 2014 – $1.3 billion – and that’s not counting the black market. May 20: Arcata City Council unanimously passed a proposal establishing a future Medical Marijuana Innovation Zone. Arcata council members, sensing that legalization could hurt the local economy, took a step toward developing a space where cannabis industry can be taken to the next level, where our community can capitalize on our cannabis industry (thumbs up). The zone is proposed for West End Road where the old flakeboard mill once stood. June 30: California Cannabis Voice Humboldt announced its proposed ordinance to regulate cannabis cultivation in unincorporated areas. The ordinance was created with input from a wide range of stakeholders including environmentalists, farmers, public officials, etc. Through this process CCVH decided to treat cannabis as any other agricultural commodity which was met with some resistance. The ordinance has since been passed along to Humboldt’s Planning Commission and Board of Supervisors for overview. September 11: California’s Legislature passed the Medical Marijuana Regulation and Safety Act (MMRSA). Made up of AB266, AB243, and SB643, MMRSA creates the new Bureau of Medical Marijuana Regulation (under the Department of Consumer Affairs), which will be responsible for licensing, tracking, and creating the specifics (i.e. rules). It also establishes for-profit enterprise and creates 17 different licenses. It gives the Department of Food and Agriculture the power to create the rules growers must meet to obtain a license. It tightens the scope for physicians recommending cannabis and establishes a background check for those seeking to obtain medical licenses to distribute, transport, or cultivate. MMRSA is set to go into affect January 1, 2016! Read here to learn more. October 2: The George Soros funded Drug Policy Alliance (DPA) and other legalization advocacy groups pulled back support for the “soon-to-be-filed” ReformCA ballot initiative. DPA claimed it wanted to prepare a back up plan incase ReformCA’s initiative didn’t uphold DPA’s principles. Marijuana Policy Project (MPP) – which successfully spearheaded Colorado’s legalization campaign – stated they were in “wait-and-see” mode… This was the first sign of discord amongst California legalization proponents. October 4: Coalition for Cannabis Policy Reform (CCPR) filed ReformCA, a ballot initiative to legalize recreational use of cannabis in California. Submitted by Manatt, Phelps, and Phillips Law Firm, the initiative stated it falls in line with Gavin Newsome’s Blue Ribbon Commission – which came to Garberville – and had the backing of a vast swath of advocacy groups including Drug Policy Alliance. October 19: California U.S. district Judge Charles R. Breyer ruled in favor of Lynette Shaw of Marin Alliance for Medical Marijuana (MAMM). MAMM (Fairfax, California) is considered the oldest state-legal dispensary in California (and the nation!) and was facing injunction by the feds. Judge Breyer ruled that federal law – specifically the renewed Rohrabracher-Farr amendment – clearly forbid the DOJ from enforcing the said injunction. This marked the first time a federal judge upheld this new law. It also marked a huge victory for cannabis proponents. October 19: Via Richard Branson of Virgin, the U.N. Office of Drugs and Crime (UNODC) is set to call on all governments to end the war-on-drugs. The memo states that criminalization of drugs is harmful, ill sought, and calls for an end of punitive drug policy. Branson proclaims that legalization doesn’t send the wrong message – it’s the continually refusal to engage this topic that sends the wrong message. November 2: Sean Parker – cannabis legalization philanthropist, founder of Napster, and former president of Facebook – backs Dr. Donald Lyman’s – retired physician and former member of the California Medical Association – cannabis legalization initiative. The so-called Adult Use of Marijuana Act (AUMA) – now know as the ‘Parker’ initiative – is seemingly well funded with the support of tech big wigs and major advocacy groups (including Drug Policy Alliance, MPP, and CCIA). The initiative has been mostly well received although some criticize potential openings for big business and criminal penalties for possession and sale. December 8: Humboldt board of supervisors unanimously passed a marijuana registry whereby those registered and compliant prior to January 1, 2016 will obtain priority status when state licenses are issued. However, the scope of businesses qualifying as compliant prior to January 1st may be minimal. Nonetheless, after years of intractability, scare tactics, and federal threats, it seems Humboldt’s officials are finally ready to face the elephant in the room (as Rodger Rodoni once called it). December 9: Amid concerns of competing legalization ballot initiatives the Coalition of Cannabis Policy Reform – ReformCA – withdrew its rival initiative after much back room deliberation and bargaining, citing consensus over issues such as small business, workers, and protecting children. The group simultaneously pledged its support for the Adult Use of Marijuana Act (AUMA) – the “Parker” initiative. The move marked the end of a dramatic turn of events in which Drug Policy Alliance and Sean Parker withdrew support from ReformCA and endorsed Dr. Donald Lymans AUMA initiative. December 18: U.S. Congress re-approved the Rohrabracher-Farr amendment – attached to the final CJS spending bill – purportively continuing the end of the Justice Department’s war-on-cannabis. This continues defunding the DOJ – DEA included – when enforcing federal drug policy upon state legal cannabis entities. This policy was first penned into law in late 2014. It marked a policy shift where republicans and democrats saw eye to eye on state legal cannabis. Notwithstanding, cannabis remains a schedule one narcotic. Stay tuned! 2016 is shaping up to be a wild year. Lets work together as providers, farmers, and industry insiders to bring the industry back home, to its NorCal roots… We will all prosper. This entry was posted in The Industry and tagged Cannabis. Bookmark the permalink. The Humboldt underground has had a great 2015! I like the list. It illustrates well how “events accelerate towards the end” or however the old saying goes. Thanks Luke! Look forward to 2016!